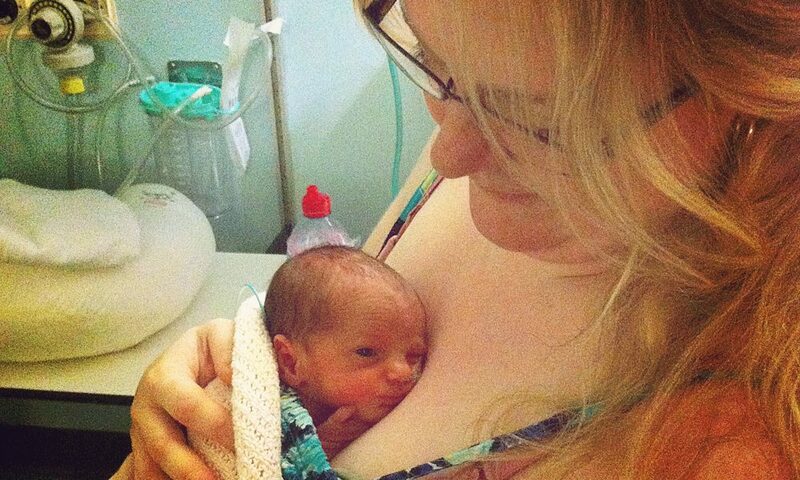 At 21 weeks, my consultant predicted that I would suffer from pre-eclampsia. This was predicted through a Doppler scan that I was offered due to my first baby being premature (nothing to do with pre-eclampsia). I was monitored carefully with extra appointments and extra scans. At 28 weeks, all was well but my blood pressure was creeping up. At 31 weeks I was admitted to hospital with severe pre-eclampsia. The care I received was fantastic. I was an in patient for two weeks before having an emergency c section at 33+4. It was a scary and worrying time and I had to trust the decisions of the consultants every step of the way. On 5th July 2012, my second daughter was born weighing in at 3 pounds 9. She was kept in SCBU for three weeks until she was 4 pounds, feeding, controlling her temperature and ready to head home. She needed a little oxygen for the first few days of her life. Four years later and she is developmentally and physically on a par with her peers. Last year I had a post pregnancy consultation with the same consultant that delivered my daughter. The feedback and attention he gave me couldn’t have been better and facts were shared on what I could expect from another pregnancy, should I wish to have any more children. My journey was a success thanks to awareness of the condition. Action on Pre-eclampsia does a fantastic job in raising awareness for people like me. I have been to one of their midwife study days and seen the expertise and knowledge they share with midwives. This awareness is lifesaving. I was lucky that my pre eclampsia was predicted and carefully watched for. The above story is shared by Laura O’Boyle, mother and pre-eclampsia sufferer. As an APEC supporter, Laura has kindly attended our study days and spoken with midwives about her experiences during this time. Throughout her journey, Laura felt supported and well informed. Much of this she attributes to the work of APEC.